T-minus four weeks until my little guy enters Kindergarten. What?! How?! When?! 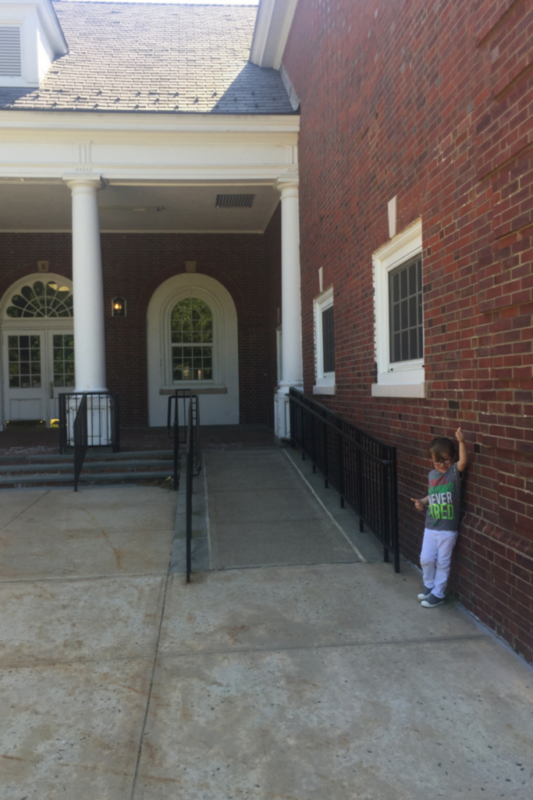 Wasn’t it JUST the last day of Pre-K, like, a hot minute ago? I might be in denial, but I’m also super excited. 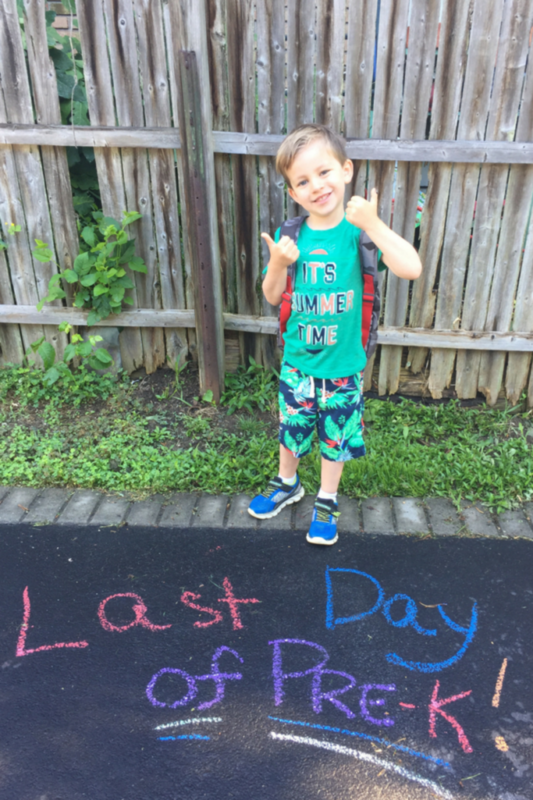 I’ve got his outfit picked out, his backpack ready to go, and his custom-made personalized chalkboard prepared for that iconic first-day photo. He’s pretty pumped too… about new friends and field trips and teachers and toys and lunchboxes and libraries and learning and much, much more. One thing we’re not so stoked about: the dreaded lice letter. Indeed it’s a not-so-fun fact that lice infestation is the second most frequent health issue seen in school-age kids in the U.S., affecting more than 12 million children annually, according to the Centers for Disease Control and Prevention. It’s second only to the common cold. Operative word being: common... you know, just like lice. So my game plan is to be proactive about preventing lice with a little help from Vamousse. 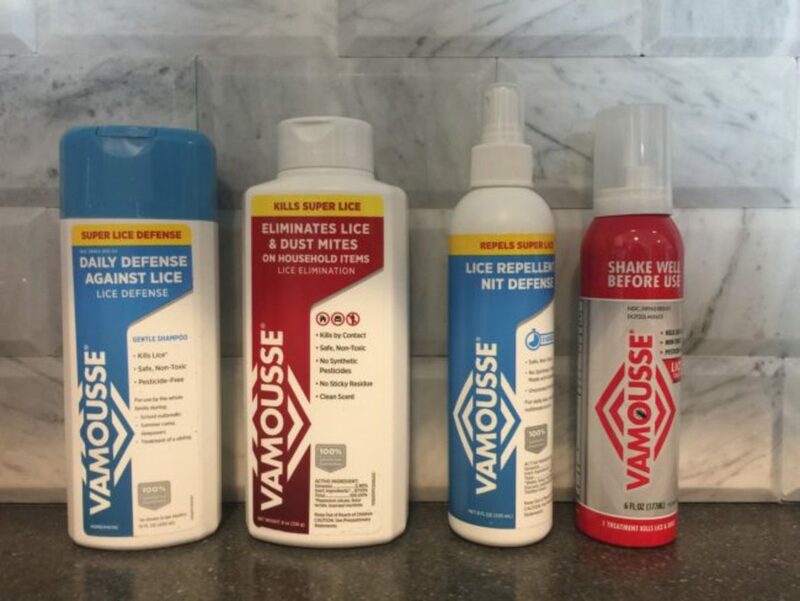 Vamousse Lice Repellent and Nit Defense is a natural spray with essential oil that repels lice without the use of synthetic harmful pesticides. It even deters them from laying eggs. A daily spritz before my big guy heads out the door, and I’ll be doing my part to keep him and his head and hair protected. In fact, a daily spritz for everyone just might be in order! Of course, you can be vigilant, but kids are kids and lice is insidious. When I was in second grade, my long-haired best friend and I had a sleepover at my house while her parents were away. Guess what? We found at school pickup the next day that, whoops, she had lice! The spread was inevitable. 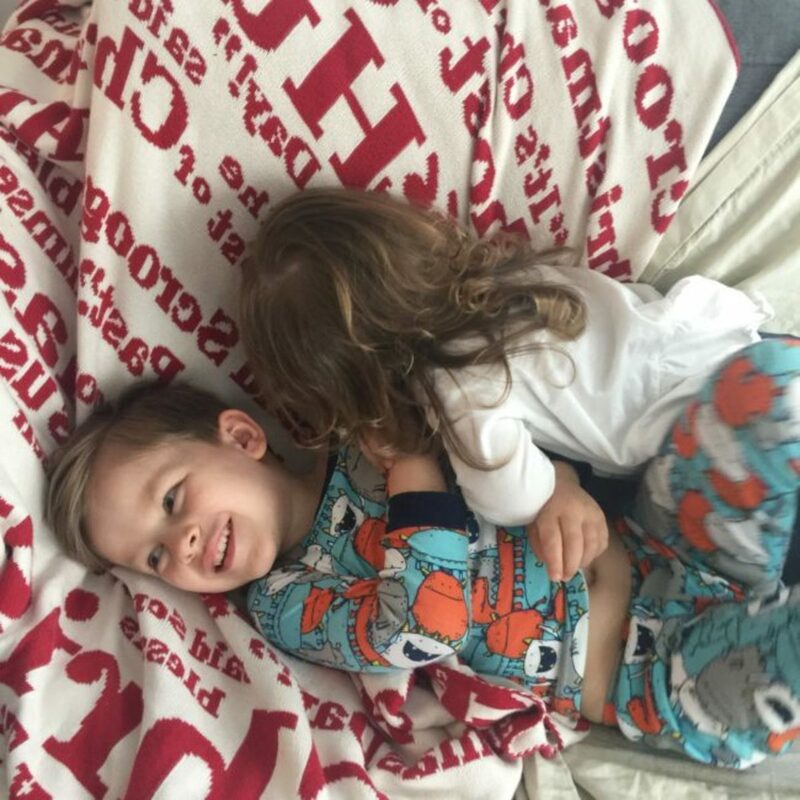 Cue the telltale itching… It’s like my two kiddos—they’re attached at the hip/head, so sharing is caring—hair-to-hair “lice love” included. Suffice to say, you can’t control everything. And so if lice does strike the classroom and you see that letter in your child’s backpack, be prepared. Tight braids and neat ponytails are ideal for girls, and frequent head checks are essential! (See our top tips below!) Even if you don’t spot evidence of an infestation, shower, shampoo, and scrub those heads daily, for 10 to 14 days consecutively, with Vamousse Defense Daily Shampoo. It kills lice with daily hair washing to help ward off an infestation. 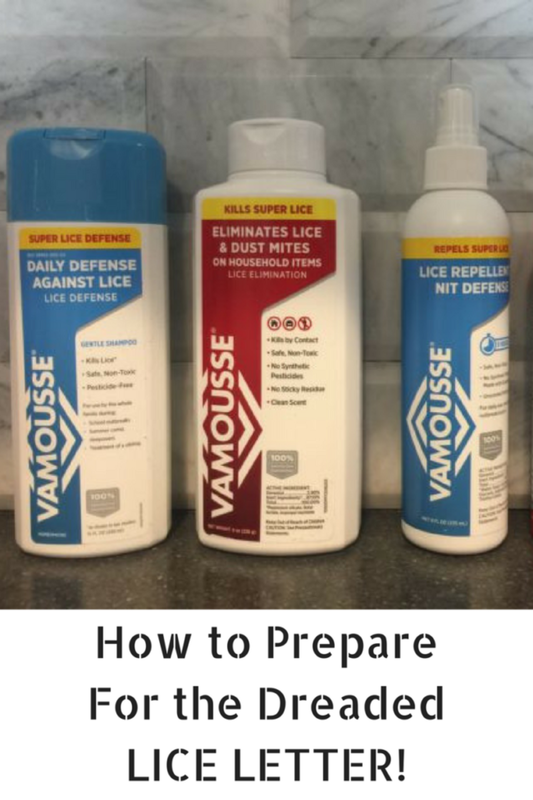 And if you do see a creepy crawler or two lurking, then it’s pesticide-free Vamousse Lice Treatment to the rescue—it allows you to end an infestation (lice and eggs!) in just one 15-minute application. It even works against pesticide resistant super lice! Plus, it’s a safe, non-toxic, and pleasantly fragrant mousse, so it’s easy for you and the kids. Follow up with Vamousse Lice Elimination Powder to eradicate lice on non-washable household items too, and you and your family can move on with your busy school week. Kindergarten is the real-deal, and we don’t have time for lice—who does?! That’s why we’ll be ready… but here’s hoping we don’t even get that letter! 5 Tips for conducting your own head checks at home! The school nurse might be doing regular checks at school, but you’ve got to take full responsibility for all the heads in your home. Use a bright light! Watch for quick movement in the head, as lice trends to move quickly away from light. Part the hair to examine the scalp. Lice may look like dandruff, but it can’t be easily removed. Use a fine lice comb to work through small sections of hair looking for lice or eggs. Don’t forget the nape of the neck, behind the ears, under bangs, and the crown of the head. Don’t panic! (Although I fully acknowledge that is way easier said than done.) Truth is: lice is a fact of life and a part of childhood (and parenthood! ), but if you’re armed with Vamousse you’re one step ahead of the game. Good luck, mamas and incoming students!